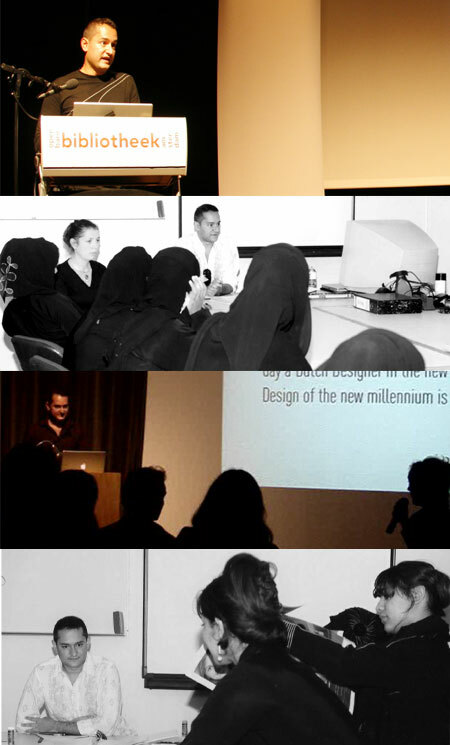 Over the last 8 years, Tarek Atrissi have been giving design and typography workshops, short seminar and studio courses and general design lectures in various universities and design events around the world. He has lectured about design in more than 14 countries; and his teaching experience include being a visiting professor at the American University in Dubai; an adjunct at the Virginia Commonwealth university in Qatar; and a tutor at the the Art, Design and Technology Masters Program of UNESCO in 2005.
world- as well as the opportunities and challenges for the upcoming new design generation. We try as much as we can to keep in this blog preview of student work developed in workshop, as well as summary of overview of lectures given in workshops or design seminars.